Condo living can be quite liberating if you are interested in downsizing and not having to deal with things such as cutting your grass or fixing things when they break. Whether you rent or purchase a Condo of your own, Condo life is quite different from owning your own home. There is a lot less upkeep when you live in a Condo vs living in a house but that doesn’t mean that you want to skimp on décor. Below you will find a few tips for decorating your Condo that will have you loving your little place in no time. One easy way to decorate your Condo that you may want to try is to add a few large mirrors to the walls. Hanging large mirrors in a small space will make the small space look larger. Many times, Condos can be tiny and have a lot of angles and awkward looking areas that can make a small space appear even smaller. Mirrors can help to alleviate all of this. Another tip for decorating your Condo is to paint the walls a nice white. You can find many different shades of white and can likely find one that will appeal to you. White paint will brighten up the rooms in your Condo and make the pallet very neutral and easy therefore to decorate. 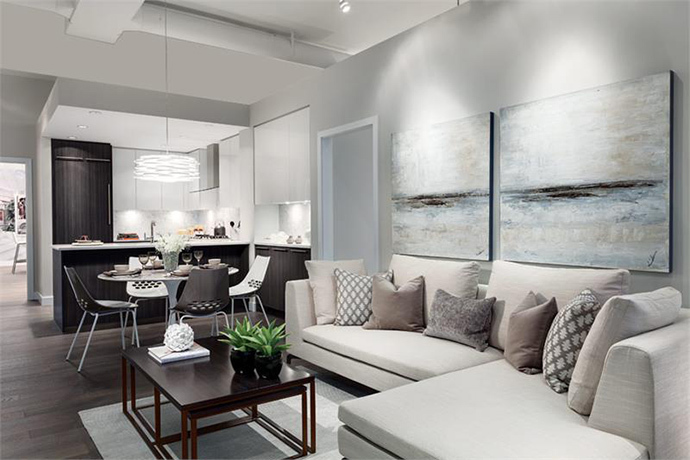 Yet another tip for decorating your Condo is to add color with large art wall décor. When you place a large painting on a wall in a small room it keeps the eye from looking towards the small space and brings the eye up to the artwork which helps the area to appear larger. Not to mention it can add a great deal of beauty. If your Condo is very small a good way to decorate and make the area work better for you is to separate spaces with room separators or curtains. This works well for Condos that are completely open and don’t have a lot of walls in them. Adding some shelves to the walls in your Condo on which to sit your knick knacks is a great way to make the space your own and to make it look like you and your personality. These are just a few ideas and tips for decorating your Condo that you may want to put into practice. There are many other ways in which you can create your perfect living environment with décor.